Hired hand? Or rather, foot. When did Nike introduce slavery? If the choice is watching the arse end of a bullock or working in an air conditioned factory? Maybe she understands that the best thing she can possibly do to help 3rd world sweatshop workers is to buy more of their products. I had a project almost 20 years ago working with the Nike intermediaries for manufacturing. Nike had an odd problem. They kept having to look to new underdeveloped countries for their manufacturing partners to set up new plants. The problem was that Nike's products where labor intensive. The manufacturing partners would go into a country with no mass production history or background and set up a manufacturing operation. The workers and managers would soon learn tool making and molding technology to support shoe production along with all the technology and skill to make the upper part of the shoe. These people quickly learned that their skills could earn a higher return making injection molded housings for computers, stamped sheet metal for the chassis and not long after that they'd move up to hard drives. 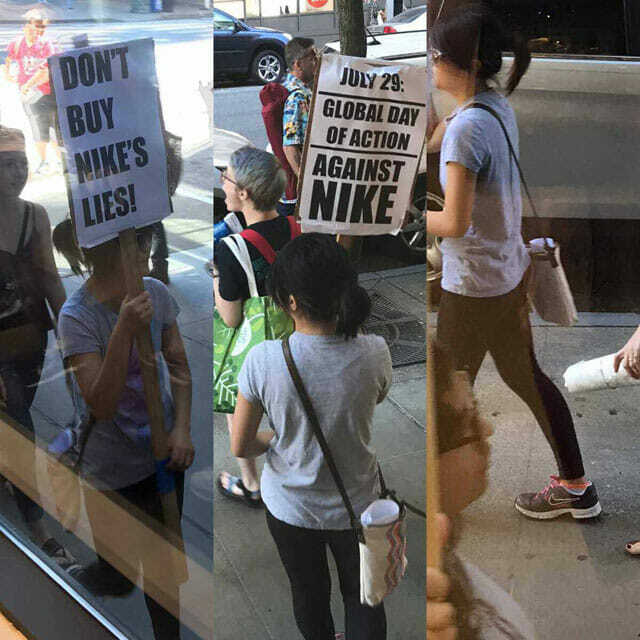 Pretty soon no one wanted to work at making shoes for Nike and then it was time for Nike's manufacturing partners to move to the next undeveloped location. This cycle happened first in Taiwan, then Korea, then China, then Vietnam and then Indonesia. What Nike left in their wake were globally competitive local workforces with rising standards of living. I don't think US AID has ever had the same positive impact on economic development that Nike has. She is wearing Nike shoes isn't she? And Nike paid them better than anyone else in their country at the time, until they had the infrastructure and skill set for the likes of Samsung and LG to set up shop there, offering more money for their products.